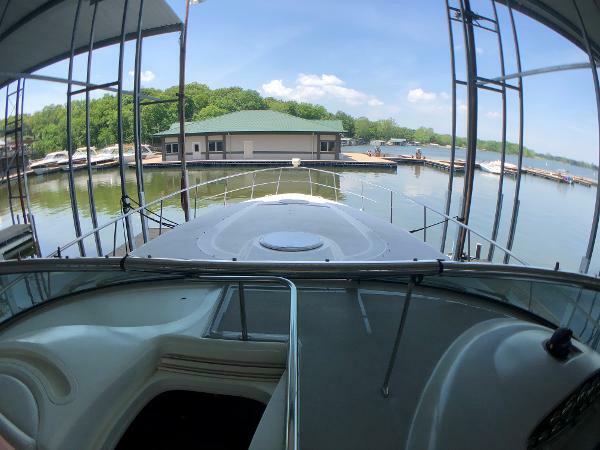 This 4270 has an innovative interior and is built on a fully cored hull with a wide beam and prop pockets. The profile is accented by its long foredeck, a reverse arch, and an integral swim platform. The interior is spacious, the cockpit luxurious and it is wonderfully equipped with full New Electronics, new carpet, New Fridge, SAT TV, air/heat, cockpit fridge/ice-maker and more. New to Brokerage! 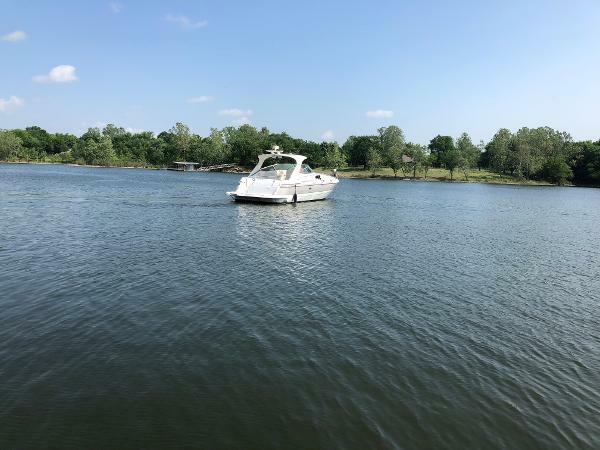 Very clean, and well kept Cruisers Yacht 4270 Platinum Series Special Edition! 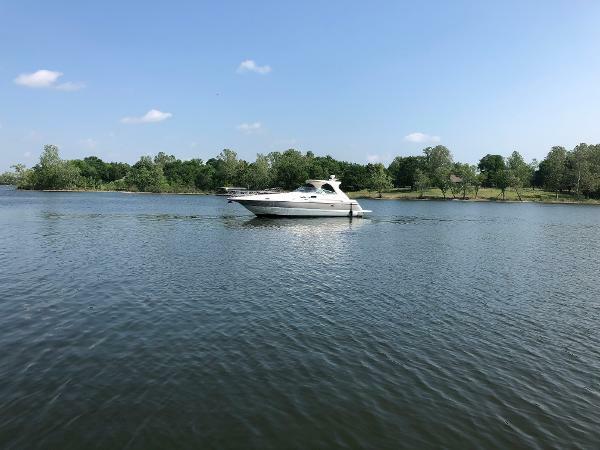 820 engine hours on Starboard 819 engine hours on Port Owner upgraded to a newer model and wants to see someone enjoy this boat as much as they did! Seller Ugly John's Custom Boats, LLC.